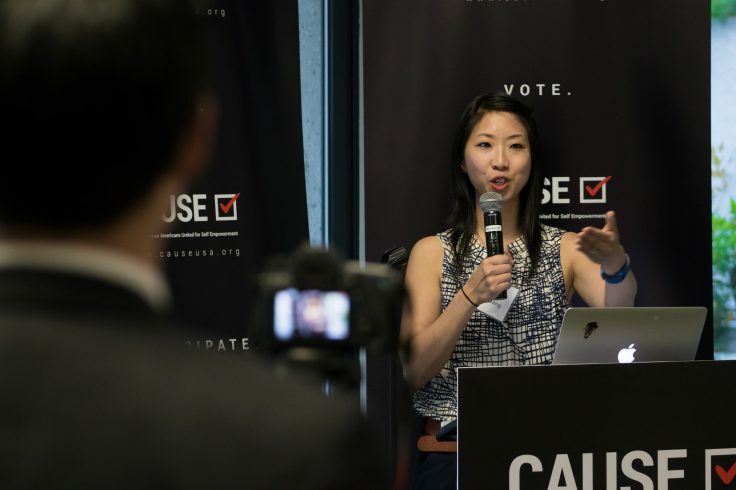 The CAUSE Leadership Network (CLN) is a special initiative comprised of emerging leaders who are committed to the civic and political participation of our community. 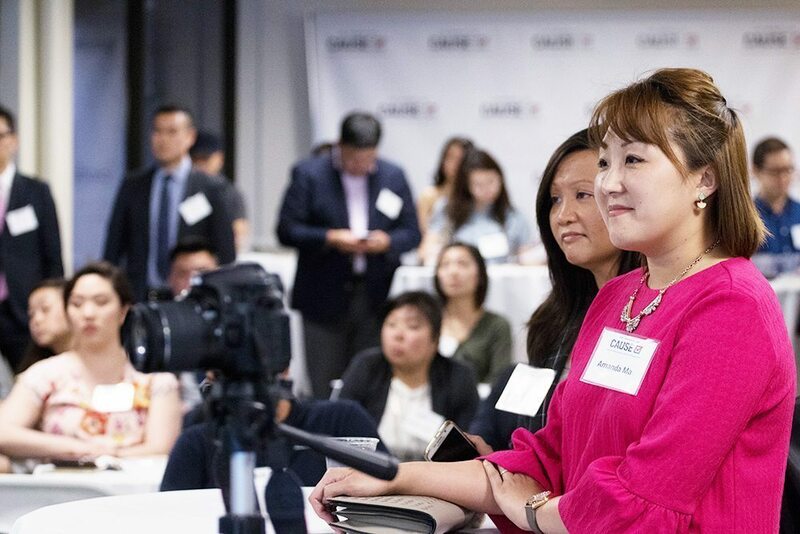 Members of the CLN represent the next generation of civic leaders and gather regularly to build the connections and skills necessary to advance the empowerment of our community. To complement the CLN, the CAUSE Leadership Council serves as an advisory board to oversee the direction of CLN activities and assist with the leadership, recruitment, and general promotion of the CLN. More than 75 people took part in the event and represented multiple industries within the private, non-profit, and public sector. Both bodies work to foster an environment focused on building greater connections among leaders of all industries in order to make way for greater collaboration, cohesion, and partnership with the purpose of advancing the power play of our community. Members of the CLC identify and choose a select group of emerging leaders to participate in CLN. Adam Ma, Community Relations Manager for SoCalGas and CAUSE Boardmember/head of the CAUSE Leadership Council, set the tone for the night by urging everyone to build connections with new individuals in sectors they are not involved in. He encouraged the attendees to harness the energy in the room to create relationships for the future. Our first speaker of the night was Josie Huang, Correspondent for Southern California Public Radio. 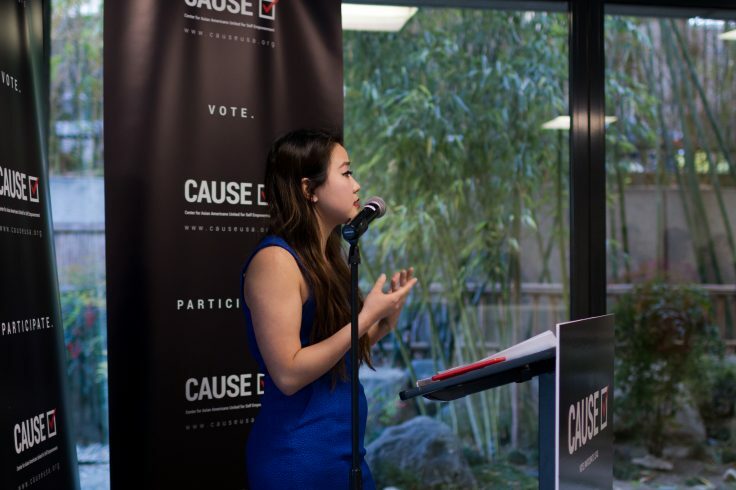 She spoke on the importance of storytelling for Asian American communities. Josie contrasted her experiences working in America with those she had in Asia and highlighted the need to dispel the often-erroneous belief that Asian and Asian American communities are one and the same. She implored the audience to put their personal narratives out, discussing how the people she met have pursued opportunities from film-making to stand-up comedy. She used these examples to show that just because one is of Asian descent, it does not immediately make them a foreigner. Josie explained that these narratives are crucial to paint a clearer picture of the Asian American experience to the greater public. Her hope was that initiatives like CLN could build confidence within more individuals and allow them to to get their stories out to the world. 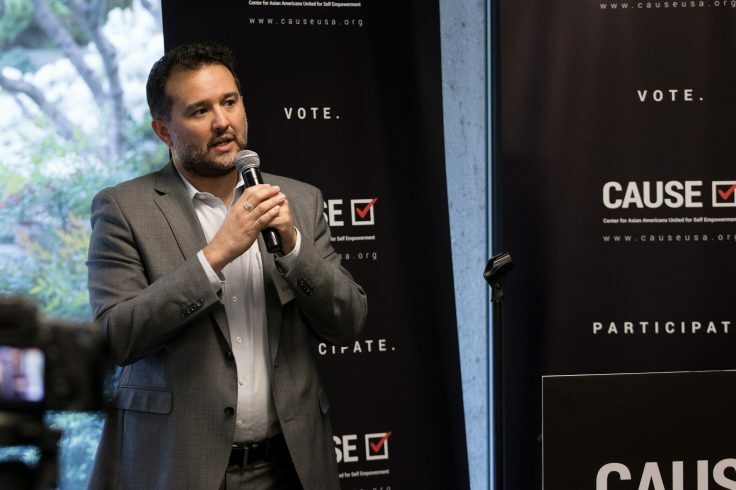 Edgar Aguirre, Director of Talent Development and Inclusion at The Academy of Motion Picture Arts and Sciences, followed up with a discussion on the need for more diverse voices in entertainment. He underscored that audiences now, more than ever, are looking for stories outside of the traditional narratives. Edgar previewed a program recently announced (The Academy Gold Talent Development and Inclusion Program), which he is launching in Summer 2017 to empower and create new opportunities for emerging and diverse talent through mentorship at top Academy member companies. He encouraged the attendees to consider their own mentorship opportunities and how they can support fellow minority communities on the path to success. The reception was a grand success, and CAUSE hopes to build out the potential of CLN for the near future. Stay tuned for more updates!